Agriculture can be a lot of fun for young people everywhere. One of the highlights, when I was in FFA as a high school student many, many years ago, was my participation in a Supervised Agricultural Education (SAE) project. I chose a project for school that I was already obligated to do at home. 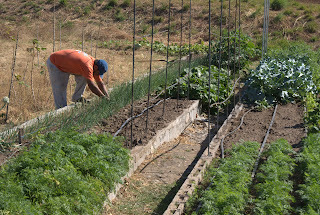 Even though working in the garden was one of my daily assigned tasks every spring and summer while growing up, the gardening job took on new meaning when I was able to do some of the planning myself. At home, I was able to apply what I had learned in the classroom. Getting high school credit for doing my home chores made a lot of practical sense to me. 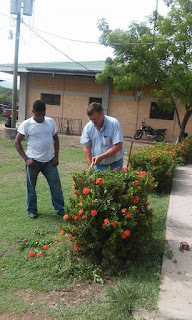 I was especially proud when my vocational agriculture teacher made a home visit to see how my project was doing. He checked my record keeping and spent time visiting with my family. I was proud to be able to show what I was capable of growing at home on my own. Maybe its time to implement something similar to the SAE in our education program in Choluteca. How might the three component model (instruction, experience, and leadership) of agricultural education that has evolved in the United States be adapted to our work in Honduras? Working on test plots at the vocational school. Honduras is an agricultural-based country, but formal agricultural education is not emphasized across the country at the high school level. 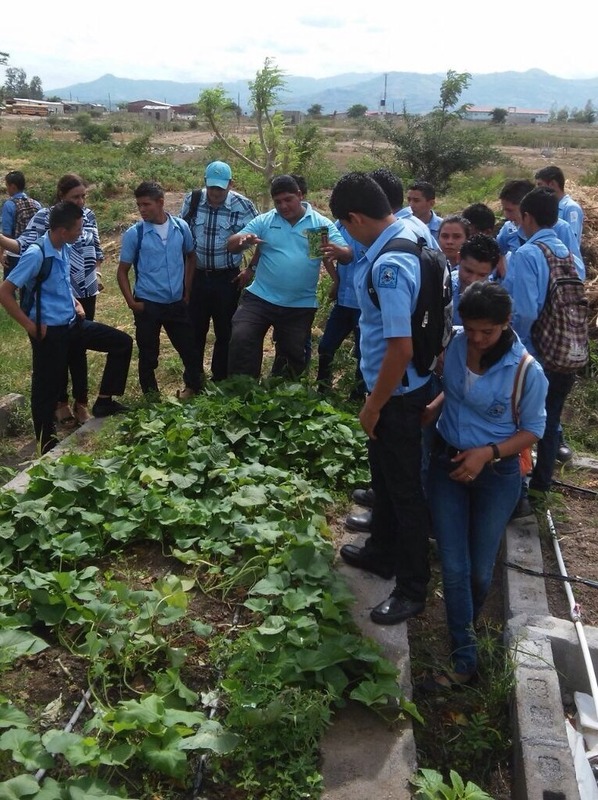 In Choluteca, a city of 180,000 people, and the surrounding communities, we know of only two high schools that teach agriculture. Those high school programs are severely limited in classroom facilities, laboratory equipment, and practical experience opportunities. I am continually reminded of a statement told to me last spring by a local community official in one of the areas where we have been working. 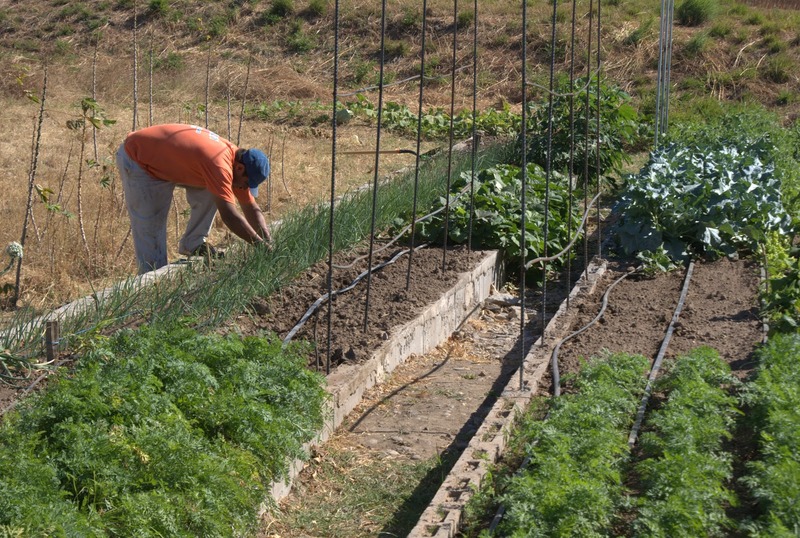 He told me that, "The young people in our community have lost all knowledge of how to produce their own food." There seems to be a great need for agricultural education in Honduras. Supervised agricultural education projects in Choluteca would give high school and vocational school students the opportunity to apply what they have learned in the classroom to projects which would give them additional real world experience. Teacher-supervised projects would be a part of the students' school work. We have the ideal situation of being able to build on the work we have already been doing with two different schools. A new home for a mother in waiting. Last summer (2015), high school students from Ohio collaborated with a public high school in Choluteca in establishing a new project with raising hogs. 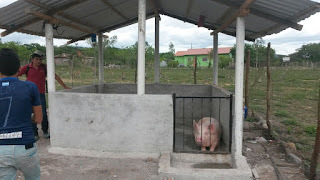 The Ohio students worked hand-in-hand with Choluteca students to build a pen, and donated the funds for the purchase of a gilt which would be the start of a supervised agricultural education project. 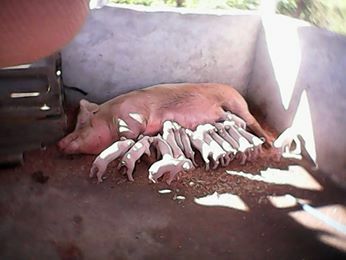 A fresh litter 15 pigs. HI Larry - Is that Morfi learning to trim ornamentals?